How do you choose the right rental chair or seating for your event? It starts with knowing what your choices are! Marquee’s product guide will provide you with the information you need to make the right decision. From weddings and festivals to sports and corporate events, we have the perfect solution. Will the event be indoors or in a covered area? If the event is outdoors, will the chairs be on an even or uneven surface? Consider renting a floor. Marquee has quite a variety. How long will guests be sitting? Consider padded chairs for seated events longer than one hour. Chairs often appear in event photos so select chairs that complement your event’s aesthetic. Do you need specialty seating such as high chairs, barstools, booster seats, etc.? What will your guests be wearing? Choose a style that will match the tone of the event! Banquet Chairs are a stackable, armless chair you’ve likely seen in convention centers and hotel conference rooms. 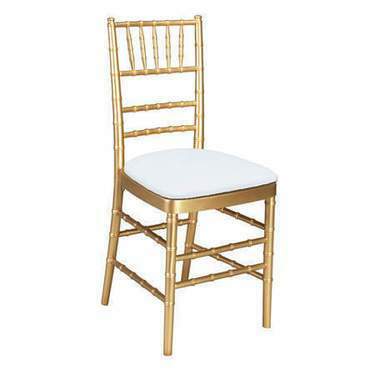 Most banquet chairs include a padded seat and backrest for guest comfort and are available in a variety of colors. Classic Chiavari Chairs are popular for weddings and can be ordered in natural wood, metallic, and in an assortment of colors. Tie-on seat cushions enhance guest comfort and are available in white, ivory, or black. Chameleon chairs get their name from the variety of fabric covers available to suit any event or color scheme. These padded, metal frame chairs can be enhanced with luxury fabrics such as suede or velvet, embellished with a sash, or covered in fabric to match the event’s theme. By far our most popular chairs are our Folding chairs. They’re budget-friendly and available in a variety of colors to match the theme color(s) of your event. 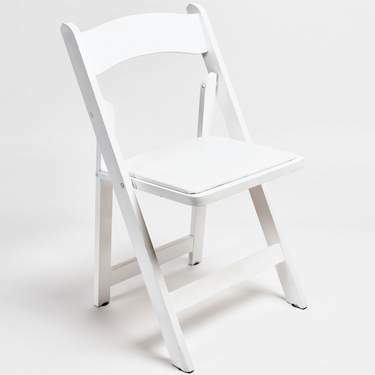 Folding chairs are a good choice for events where a single area will be used for multiple purposes because they can be set-up and stowed quickly. Mirage ghost chairs, also known as casper chairs or phantom chairs, are made of clear plastic and bring a modern look to any event. Ghost chairs are easy to keep clean and won’t clash with other decor or furnishings. 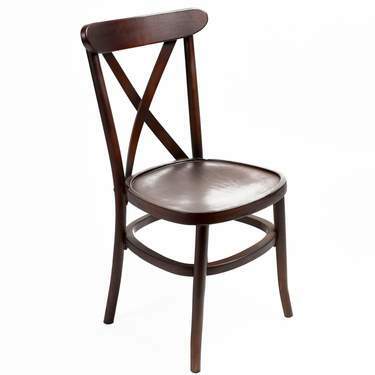 A wooden crossback chair provides a classic, timeless aesthetic to any event. These padded chairs are rustic, elegant, and photo-worthy. 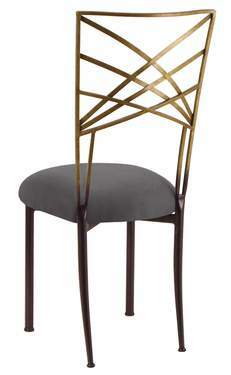 Our cross-back bistro chair is a popular choice for garden or vineyard events, and weddings. Whether you need chairs for a child’s birthday party, a couch for a corporate event, or bar stools for a holiday get-together, Marquee Event Rentals has you covered. Barstools - available in metal, saddle-style, or the classic circle shape. For additional comfort, choose a barstool with a backrest. Couches, sofas, loveseats, etc. - create an upscale space for guests to relax or network. Browse the furniture section of our website to see our selection of banquettes, loveseats, and sofas. Customers have trusted Marquee Event Rentals with their special event needs for decades. We combine experienced people with the deepest inventory in the industry to deliver 100% client satisfaction every day at every event. Looking for something particular but don’t see on our website? Want advice from an event planning expert? Contact us at one of our locations in Atlanta, Chicago, Kansas City, Milwaukee, Austin, Dallas, or San Antonio. You can also request a complimentary consultation online.